NANO bicycles is a specialized company that offers bicycle rentals, tours and mechanical service. 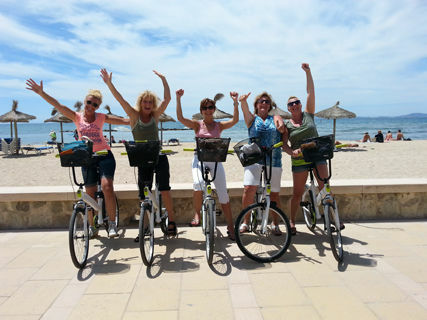 At our shop located in the center of town (La Lonja), you will find our friendly and professional staff that will help you with the bikes and explain you the best cycling routes in the island. 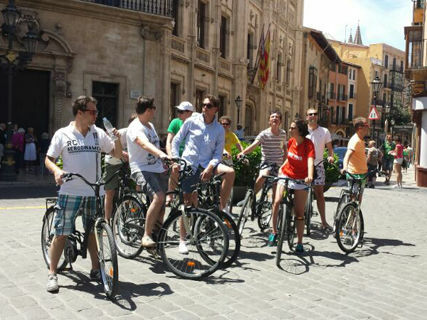 Have a wonderful memory of your visit to Majorca with one of our bicycle tours or just rent a bike to visit the city at your own pace and, if you already have a bike, do not forget our efficient and quick mechanical service. Great bike shop, decent prices, amazing service. Good service and well maintained bikes. I will come back next year! Tengo muchas ganas de probarlo, me encantaría recorrer la ciudad en bicicleta...aunque no sea tan llana como la de Berlín. Very close to the cathedral!